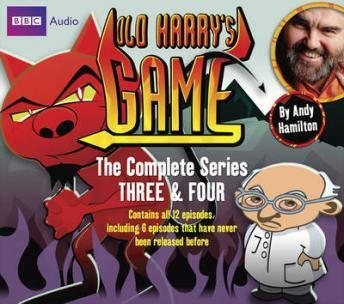 The complete third series of Andy Hamilton's hell-ariously entertaining Radio 4 comedy. Satan may rule the roost, but he's beset by the poor unfortunates condemned to sit out Eternity with him. Amongst them is the Professor, who is convinced that societies evolve and mature until Satan introduces him to Bill Clinton. There's also Scumspawn, Satan's personal assistan, with his large expanse of nothingness between the ears - and as for Satan himself, he is persuaded to attempt to improve his image on Earth, to remake Casablanca (with Bogart, Bergman and a mutant alien) and to start a football match in Hell which provokes God to send a couple of Archangels down to see what all the fuss is about.